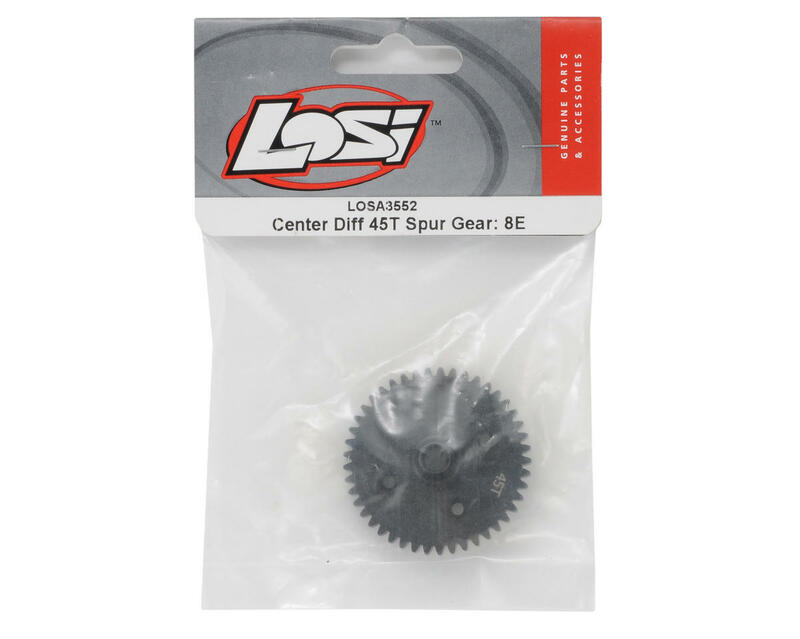 This Losi Mod1 Center Differential Spur Gear is is intended for use with the Losi 8IGHT-E family of 1/8 scale electric vehicles. 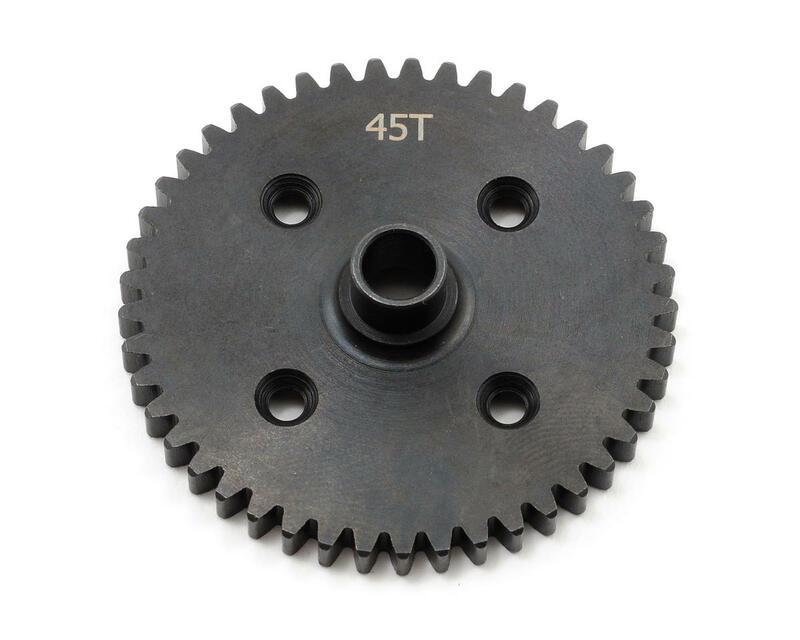 This is a 45 tooth spur and is only compatible with Mod1 pinion gears. Minor noise increase but I love how it resulted in better punch from stop.